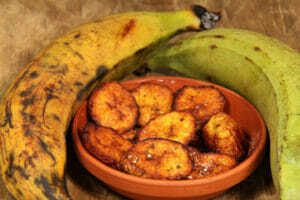 Peel the back off the plantains. Cut in slide slices or circle slices as preferred. 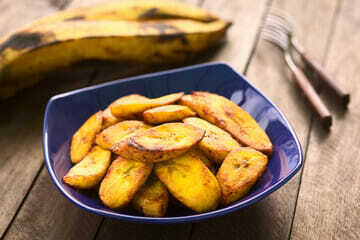 Sprinkle salt to taste on plantain (optional). Heat up oil in frying pan. 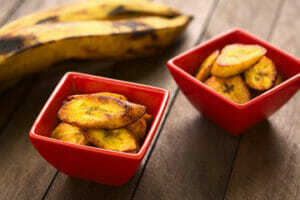 Once oil is hot, place plantain slices in pan and fry each side till golden brown or light brown. Serve as side dish or main dish with eggs for breakfast.